Fracking in WA? No way! Here in Western Australia, we are blessed with some of the world's most pristine water sources, fertile farmland, internationally renowned biodiversity, and globally popular tourist destinations. The invasive gas fracking industry is already placing much of this at risk. Everywhere fracking has taken hold, communities and experts are reporting serious problems: contamination of air, water and soil with toxic chemicals, and serious human health problems, just to name a few. 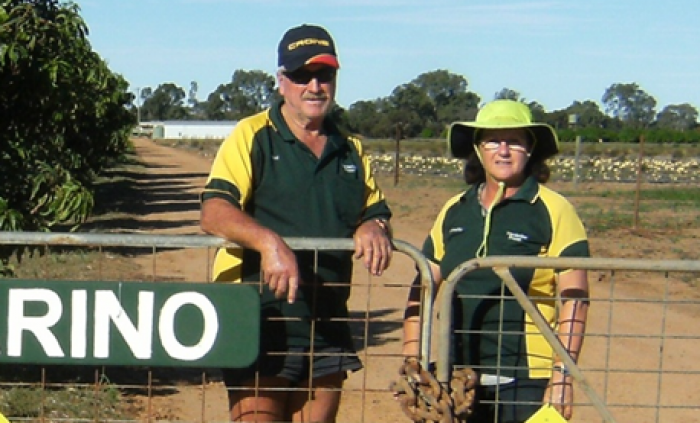 Farmers like Rod Copeland are already fighting to keep their water supply safe from fracking in the Mid West and it won't be long before it's the same for growers in the South West and even the Swan Valley. We still have time to protect WA from this accident-prone industry. Frack Free Future is a strong community campaign doing our best with little-to-no resources. We're taking on a massive and invasive industry backed by huge corporations and their supporters in government. We have a strong strategy, dedicated campaigners, and a growing supporter base. Now, we really need your help to step it up to the next level. The March 2017 State election is nearly upon us - and we need to make sure all the parties commit to protecting WA from fracking. To do that, we need to be ‘everywhere’. Political candidates must feel there is no escaping our campaign, and feel the need to engage with our campaign in order to stand a chance of being elected. And to do that, we need campaign materials and merchandise! Can you help us cover the costs of the everyday materials vital to getting our message out there? Frack Free Future branded ethical merchandise: t-shirts and hoodies! If you can contribute any amount, you'll be helping to grow the strong and vibrant community movement needed to protect our water, land, and communities from fracking. With your help, a Frack Free Future is within our reach! We're an alliance of farmers, doctors, environmentalists and everyday community members working together to take on the huge and invasive gas fracking industry in WA. Can you help? 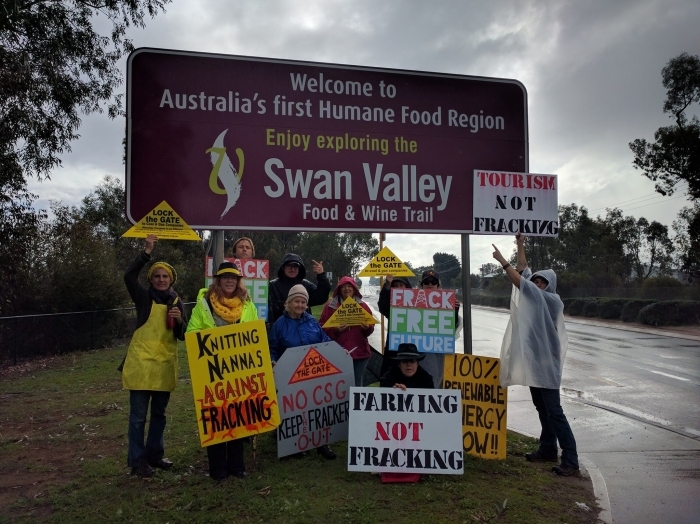 You get to feel great because you know you've contributed to a Frack Free Future for WA! If you choose this perk and provide your name, we'll give you a shout out on the Frack Free Future website at the end of the campaign! Not only will you get to feel great and be included in our website list, we'll also give you a shout out on Facebook and/or Twitter! Choose this option and provide your address and we'll mail out a sticker pack for you - including a bumper sticker and two small stickers. When you donate between $80 and $199, you will receive a comfortable and ethically-sourced Frack Free Future T-shirt! We will email you to determine sizing. Let everyone know you support a Frack Free Future for WA! * $3,035 in offline donations included in total.